Four people were killed during two separate buy bust operations on Tuesday afternoon in Cebu. The first buy bust operation was conducted at 5:30 p.m. by the provincial intelligence branch (PIB) of the Cebu Provincial Police Office in the mountain barangay of Saragosa in Aloguinsan. The buy bust operation turned into an encounter when Marvin Canencia and his cohort, Joselito Macapas, resisted arrest. The two sustained gunshot wounds and were declared dead on arrival when rushed to the hospital. Police recovered from the suspects sachets of suspected shabu with a street value of almost P200,000, a .45 caliber pistol and a .9mm pistol. The PIB said the drug suspects were bigtime drug pushers in Aloguinsan and Carcar City, Cebu. After the drug raid in Aloguinsan, the PIB and Minglanilla Police also conducted another operation in Sitio Lower Pakigne in Minglanilla, Cebu. The operation’s targets--Ian Zafra and Joel Maing--were shot dead after allegedly pointing their guns at policemen attempting to arrest them. 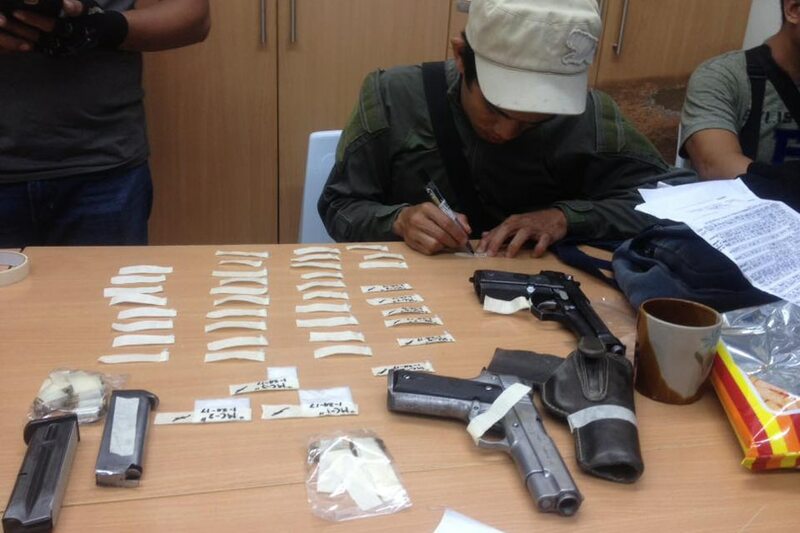 Police recovered sachets of suspected shabu worth P262,000, a .45 caliber pistol and .9mm pistol. Zafra and Maing were among the High Value Targets of Minglanilla Police in their Anti-Illegal Drugs Campaign.